Dr. Ziglioli attended Delaware Valley College in Pennsylvania, where he majored in small animal science. He received his Doctorate of Veterinary Medicine at North Carolina State University. 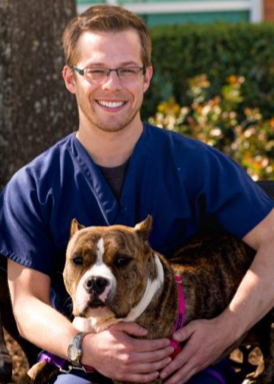 After graduation, Dr. Ziglioli moved to Madison, Wisconsin where he completed a one-year rotating internship in small animal medicine and surgery. He completed a three-year residency in small animal internal medicine and a master’s in biomedical veterinary science at Virginia Tech in Blacksburg. His clinical interests include immune mediated hematologic diseases, gastrointestinal diseases, and endocrine diseases. Outside of work, Dr. Ziglioli spends his free time running, hiking, biking, and going to Crossfit.